Scooping up one of these classics would be sweet. It would have to be in an obnoxious color. If an odd color is loved it is "daring" or "bold" and hated it is "obnoxious" , but no matter what the opinion on a color at least a variety...including the weird ones does show a bit of customer choice has a priority with the company. Especially if it is found in their cheaper models. Kurt wrote: New ones. Like Caymans, Boxsters and 911s (or whatever it is they are called now). You're right then. Come to think of it, the vast majority have been silver. I've seen a few red and black ones, and someone I know bought a yellow one last year. I'd either want a white one or a slick matt black - not sure if that's popular in America though. I kind of like the matte colors on cars. 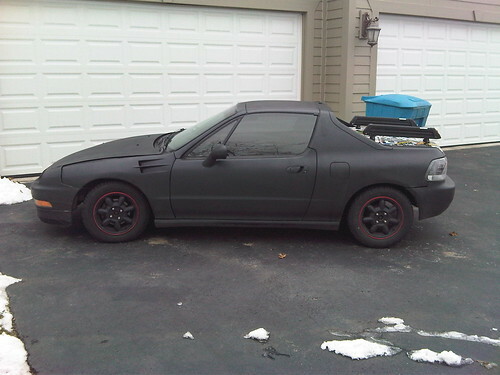 What I really like is the DIY version of it where a whole car is painted in bed liner. Pretty sweet. But leave the body kit in the recycle bin where it belongs. Saw my first one on the street today, as opposed to car show floor. They look really sharp. Is there anything that actually looks better with a body kit? I don't think so myself, unless it was done by a real craftsman but then that would not be a "kit". 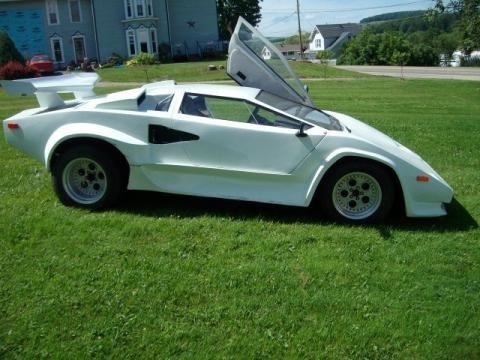 Kurt wrote: Is there anything that actually looks better with a body kit? I don't think so myself, unless it was done by a real craftsman but then that would not be a "kit". The problem is that most of this stuff just looks fast. It usually just adds weight and drag. Yah, and that seems to be kits at their best too. Now a LeMons Plymouth Neon with a "kit" might do some good but even that I see the best ones are improvised for humor. My Boxster owning friend told me of a South African "Hardtop" kit that made the Boxter perform better while looking like a Cayman but I doubt the significance of the performance increase but do not doubt that it did not add ugliness to the car. But most of them seem to be for 370z cars, and none that I have seen have ever looked anything other than ridiculous. Also I heard that body kits increase the chance your car will be stolen since the kit part is more difficult to trace when stolen. I used to see an e46 330i four door that had m3 body work on it along with some suspension work. Not exactly aftermarket but it looked along. Looked a little like the link below. My favorite car was My 1975 Purple Pacer Stationwagon . I was 17 the paint was like powdering off , Very little rust and zero Blind spots . Closest thing to a Jetson vehicle ! Drive Ins had plenty of room and privacy to scrog once the windows fogged up ! Could actually get a good ride from your Lady friend without her Kinking Her neck too Much ! I love the flat black look (aka murdered out), unfortunately its also popular with street racers and fast-and-furious-worshipping gangsters so its a bit of a heat score. 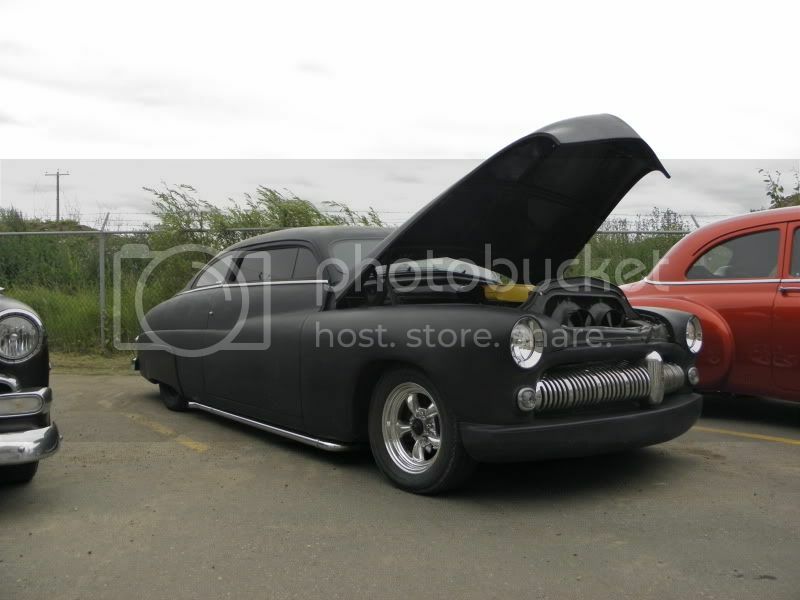 Also looks great on 50's style chopped and lowered hot rods IMHO.